As professional videographers and video editors, we have made a living off of the ability to manipulate good and bad video footage alike. The main goal of this skill is to be able to present usable video footage to coaches in a way that highlights an athlete’s talents. Sometimes, though, we have trouble sifting through amateur video footage sent to us, and that can create problems in creating a clean recruiting or highlight video. Different coaches have differing opinions on the matter. Some coaches say that they prefer the highest quality video footage possible. They like being able to see every single blade of grass on the field, and camera equipment today can just about accomplish that task. Other coaches say that if they can tell where the player is at on the field and they can generally see minor details of the game, the quality doesn’t matter. If the game is shot on video, that is all they need. Neither of these viewpoints is right or wrong. The key for the video editor, though, is that the footage has to actually be visible and usable enough to see what is happening out on the field, and unfortunately this is not always the case with the footage we receive. There are times that we have had to come back to a client and tell them that the footage they have is so blurry or noisy that it is unusable, and it is not a viable option to present to coaches. Shaky cameras often miss key plays when shot by amateurs. Footage can be lost or corrupted due to old or worn out equipment not performing well. Some video is not exposed correctly, and huge chunks of footage are lost to an inexperienced videographer running the camera. You need to find a diligent videographer. This idea may be scoffed at by some individuals who think they can get away with having anyone shoot a game, but when editing the footage, it is evident if the person shooting the game has had some experience or not. This does not always mean you must find a professional. The key is finding someone who has some idea of what they are trying to capture for coaches to see, and can follow plays as they occur on the field. Critical plays can be lost due to someone inexperienced being behind the camera. Make sure your video camera is able to present a clean and crisp image. Some video cameras from ten years ago look better than others created within the last year. You must discern if the image you are presenting is able to accurately show your athlete’s abilities. 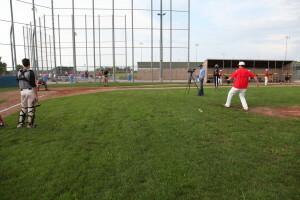 As a professional video editing company, we receive sports video footage from all over the country. We accept just about any kind of video footage you have to provide of your athlete, because ultimately we want your athlete to succeed. But please make sure whoever is shooting your game (if not us), is able to capture footage of your athlete that will help them, and not hurt them.